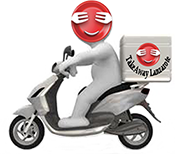 Indian Takeaway Lanzarote, Indian Restaurants takeaways , indian food delivery Playa Blanca- Best Indian Restaurants Lanzarote with Delivery Takeout Canarias Las Palmas. House Special - Takeaway Lanzarote There are 9 products to choose from. Takeaway Lanzarote - Restaurants Playa Blanca Special Bangladesh Dish - Extra Large King Prawn marinated with the chef's own spices, cooked in a clay oven with coriander, bay leaves, grenn peppers , potatoes, Medium Hot.